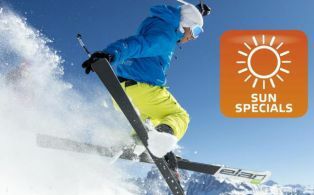 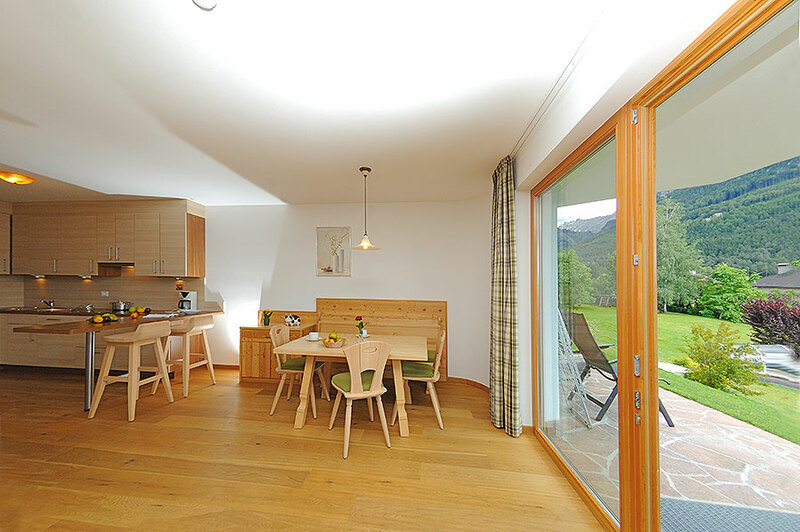 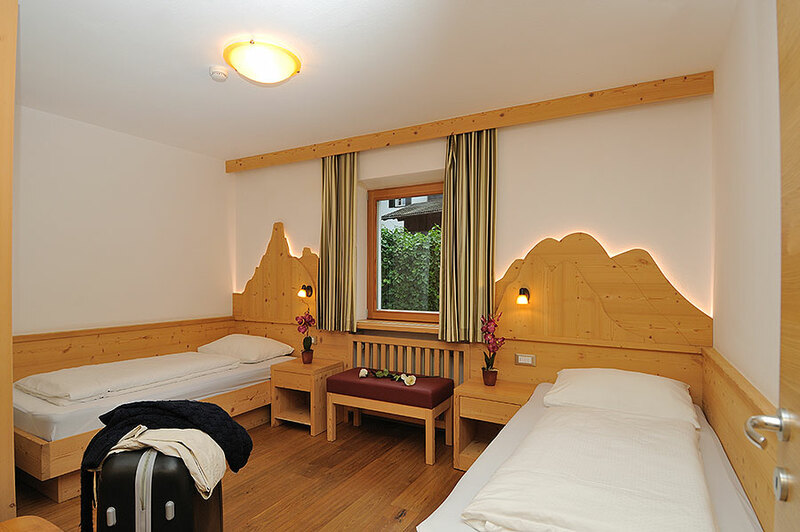 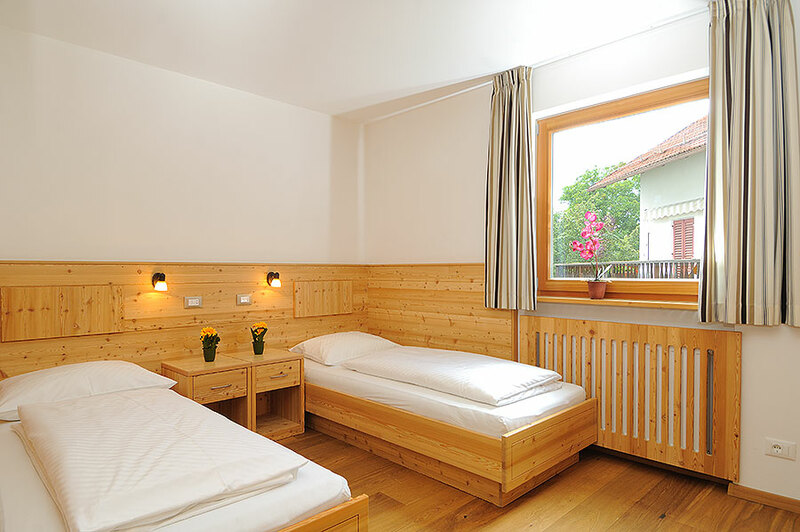 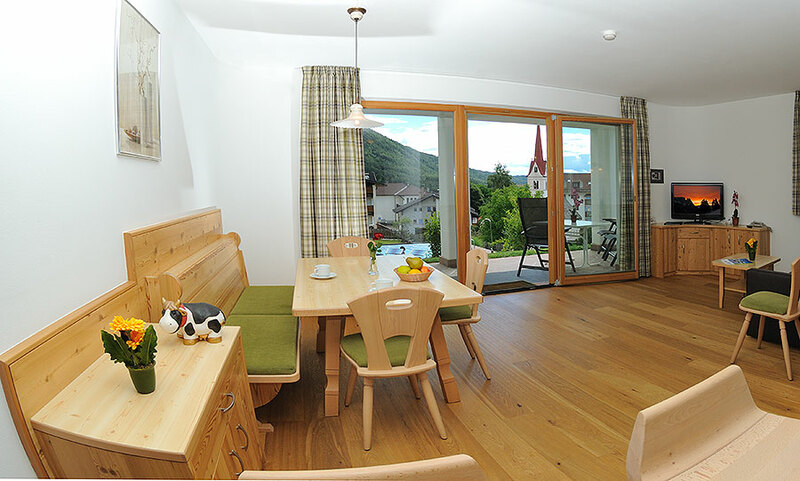 Our holiday apartments in Seis am Schlern are the ideal place to find recreation and to relax during your holidays. 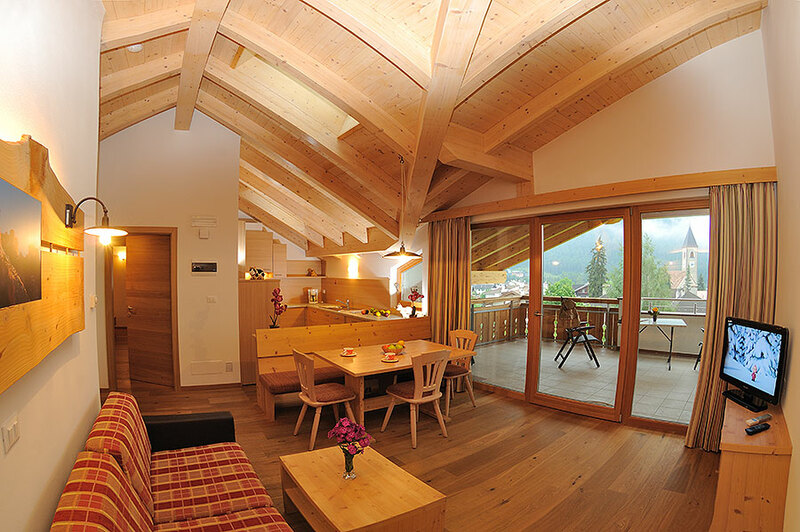 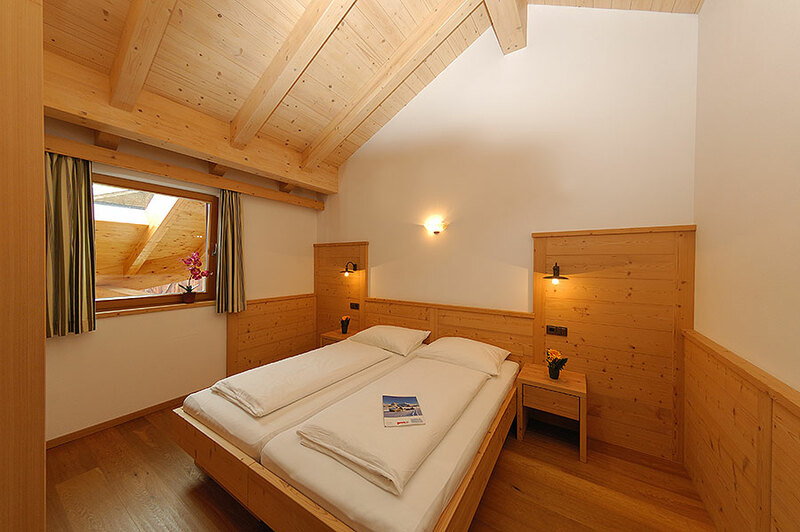 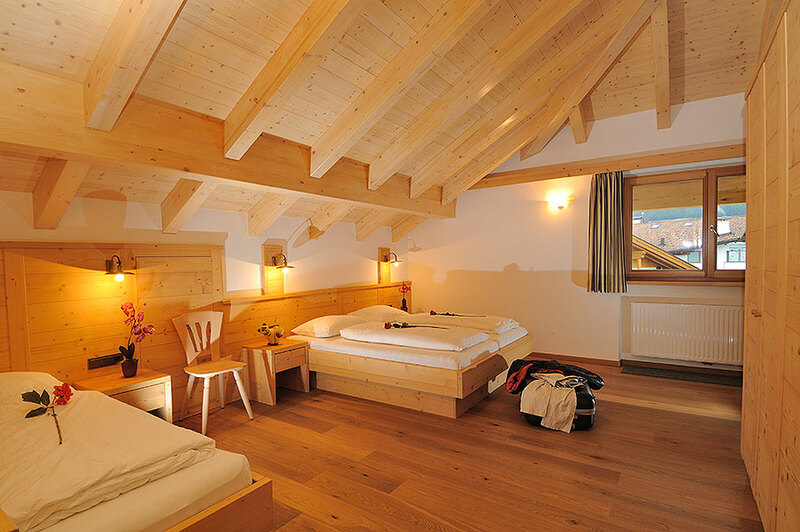 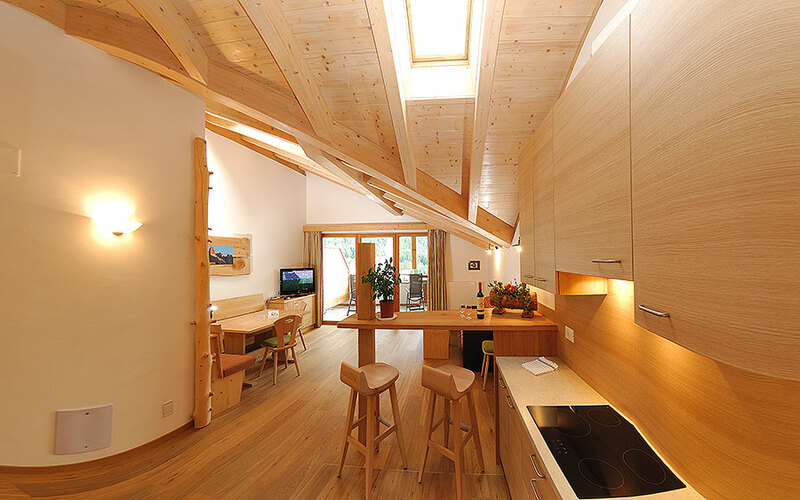 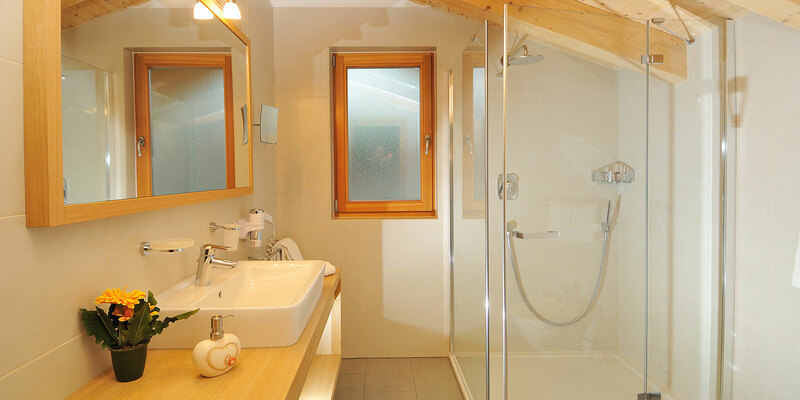 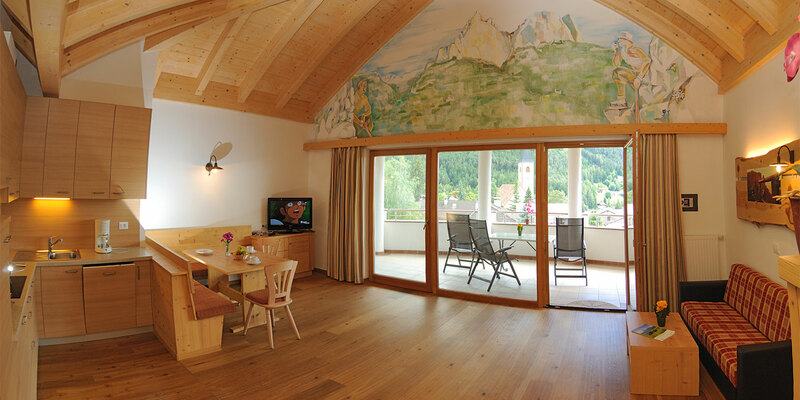 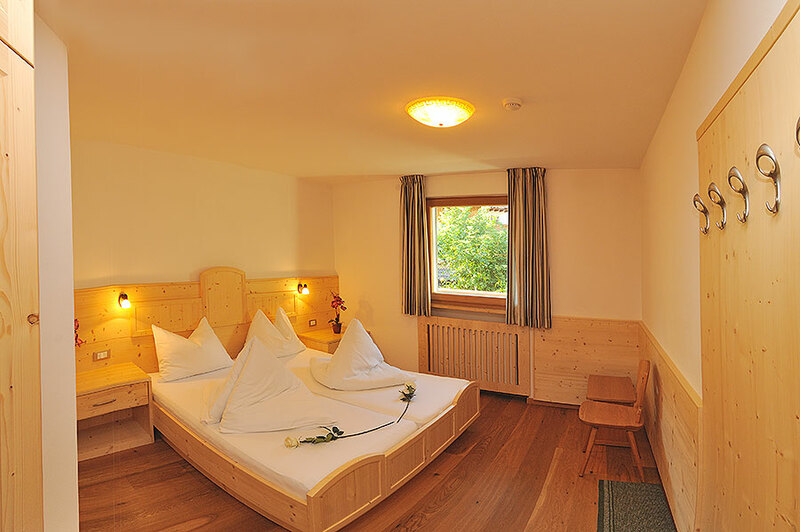 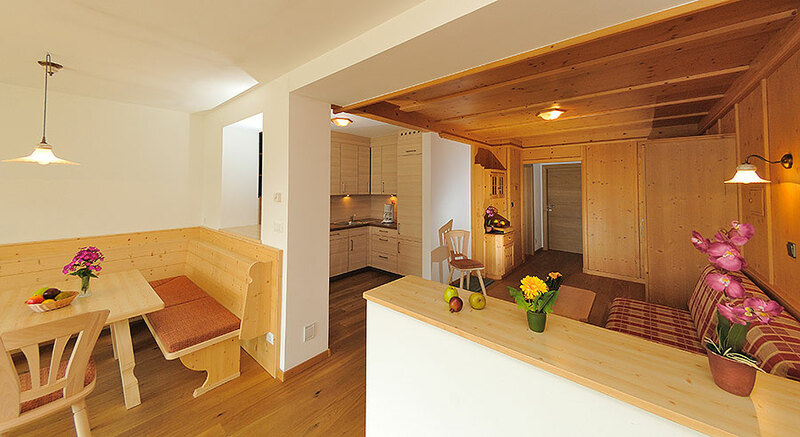 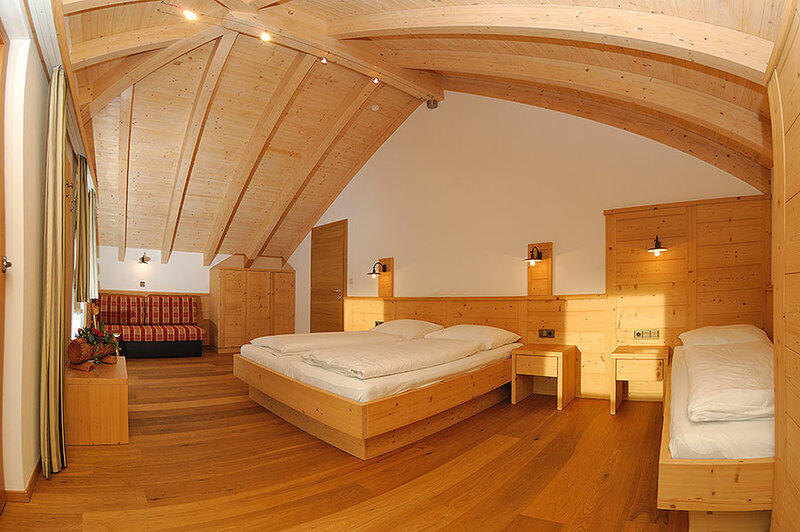 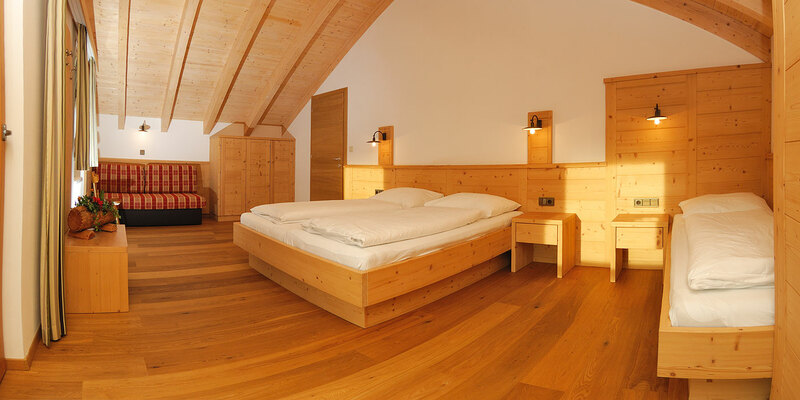 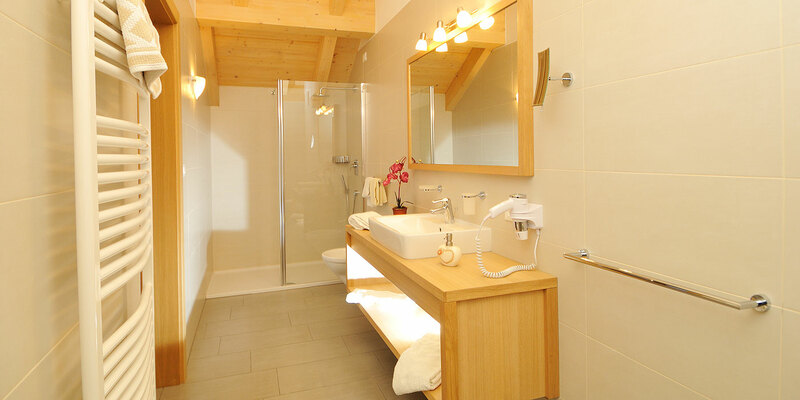 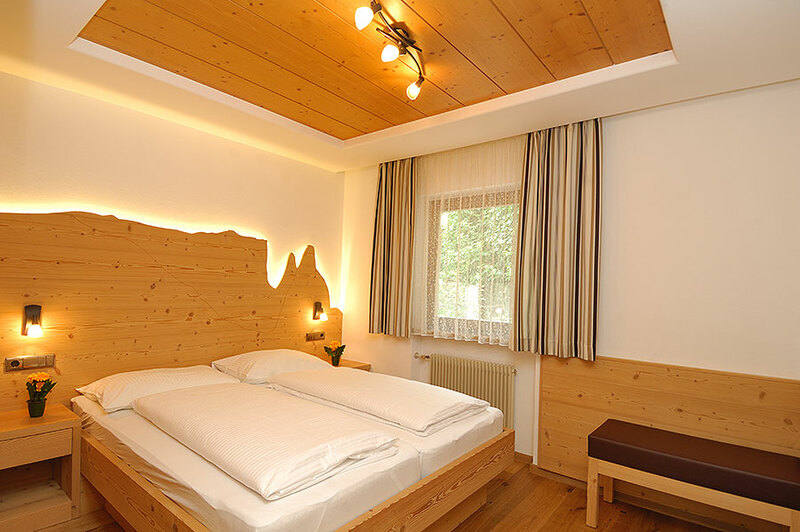 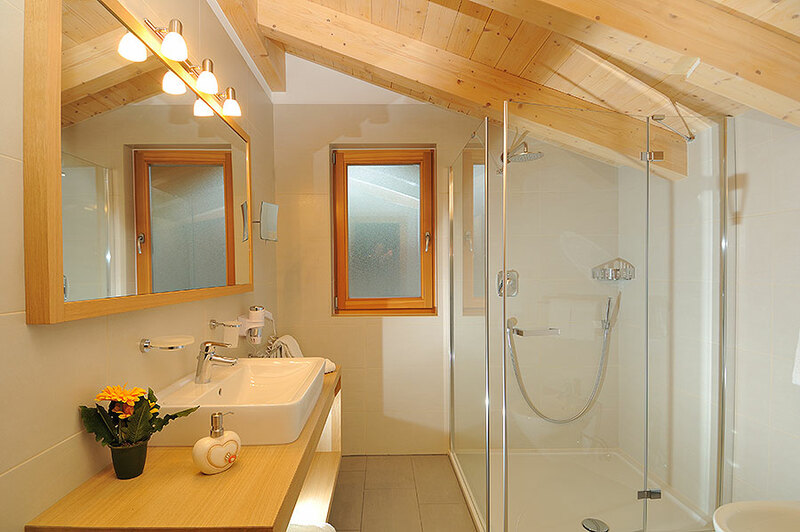 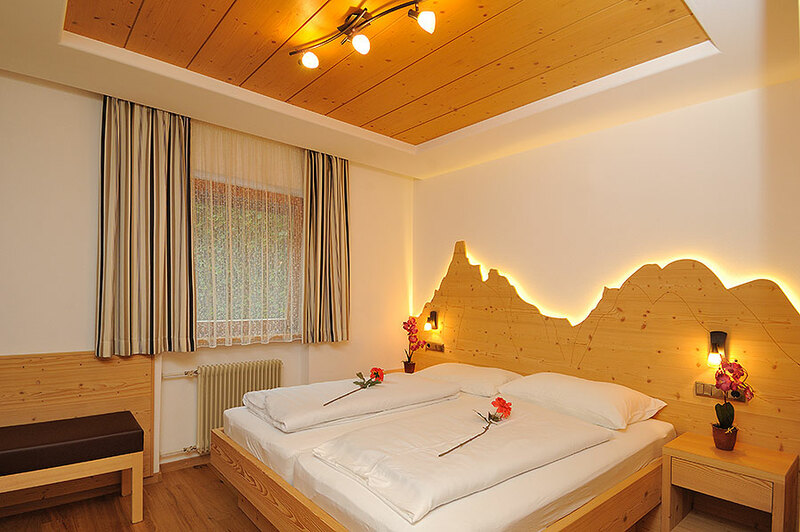 The spacious and comfortable holiday apartments in the Dolomites in South Tyrol have been furnished with love for detail and offer the freedom and flexibility you'd expect from a stay in the Dolomites at the foot of Seiser Alm. 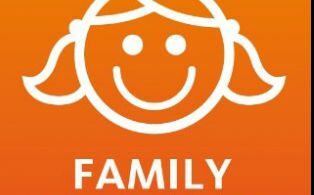 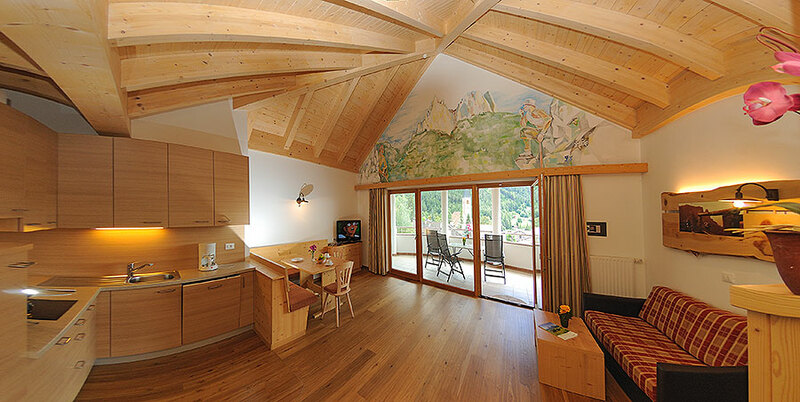 All apartments are very spacious and suitable for 2 to 6 persons. 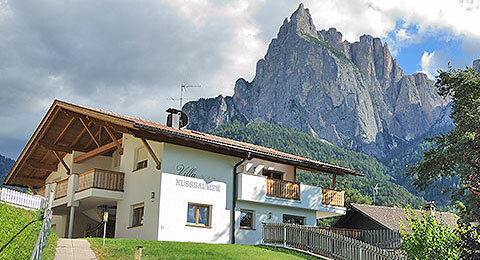 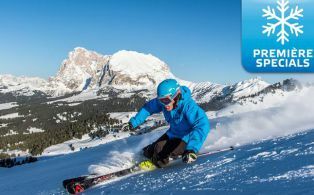 All apartments are south facing, with balcony or terrace, and a splendid view of the Dolomites. 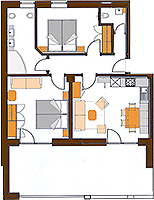 The Category A Apartments feature 2 bedrooms and are suitable for 4-6 persons. 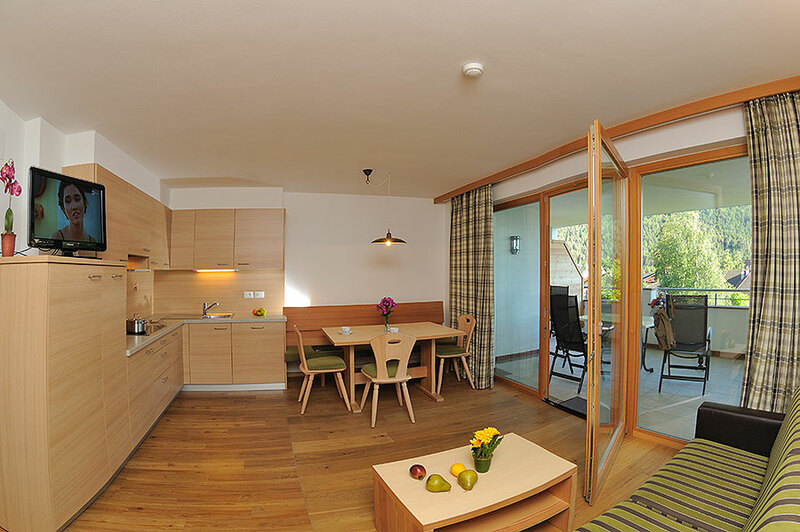 All apartments are south-facing with a panoramic view and a spacious balcony or terrace with table and sun loungers. 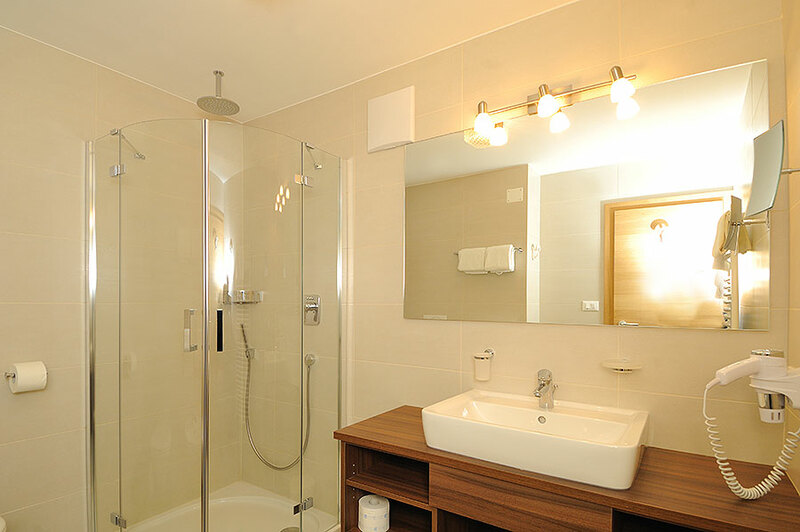 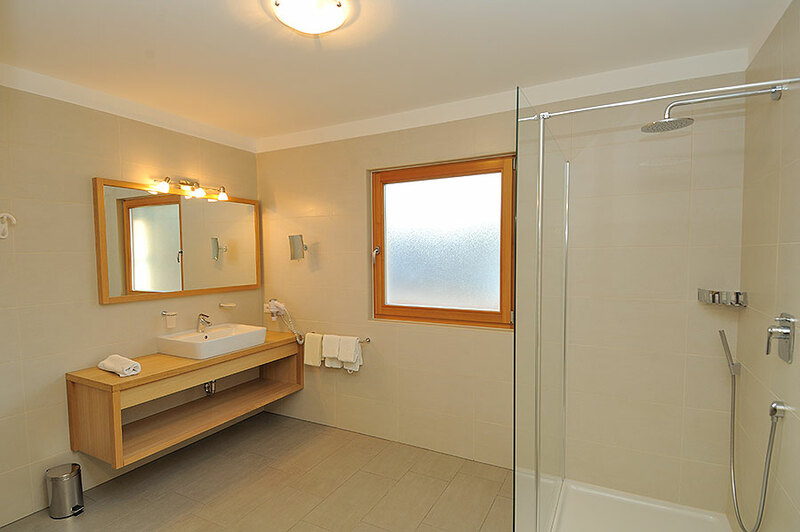 The apartments dispose of a fully equipped bathroom and a separate guest WC with sink; fully equipped kitchen and living room with double pull-out sofa and seating area. 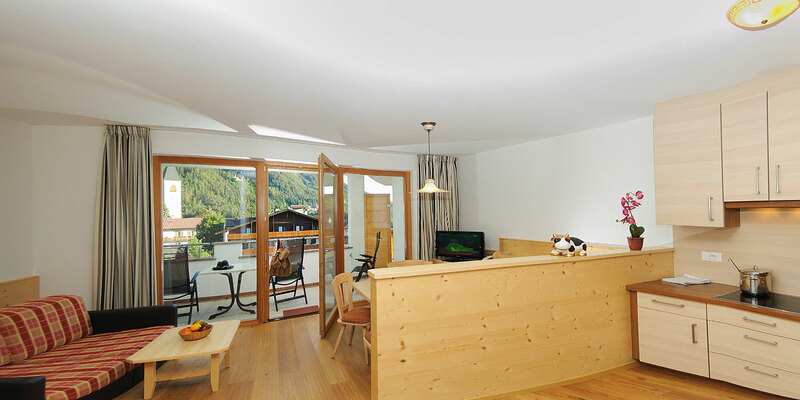 The Category B Apartments feature 1 bedroom and are suitable for 2-5 persons. 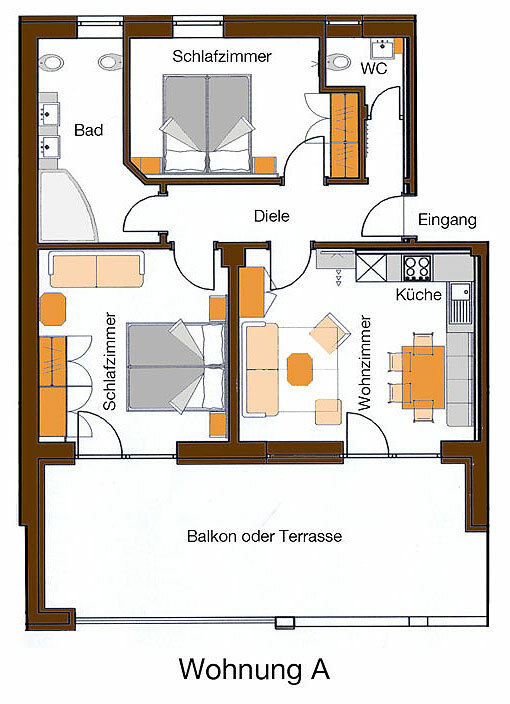 All apartments are south-facing. 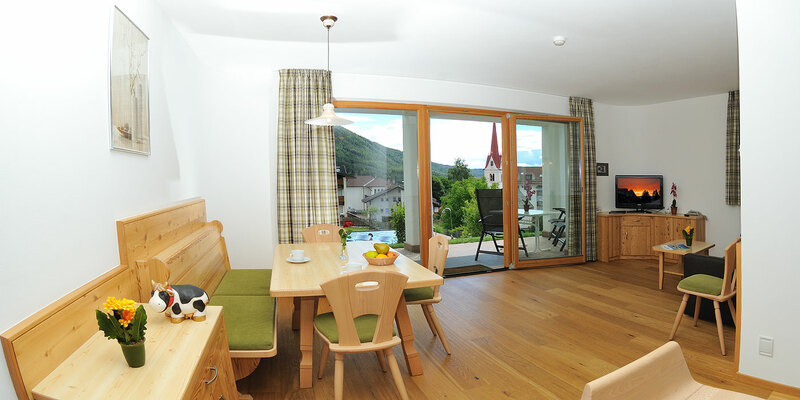 From the spacious balcony or terrace with table and sun loungers you enjoy a wonderful view. 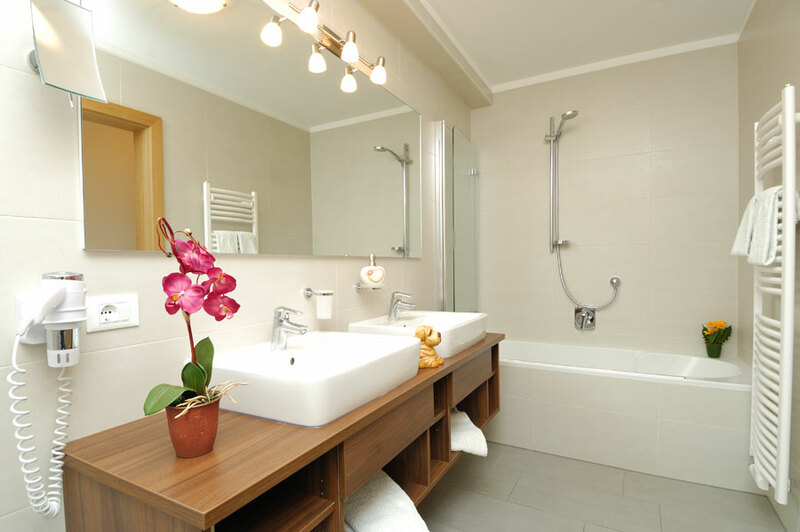 All apartments dispose of a fully equipped bathroom, a fully equipped kitchen, and a living room with double pull-out sofa and seating area. 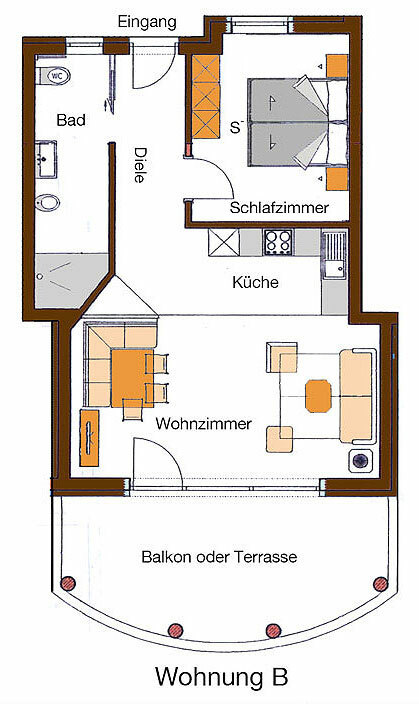 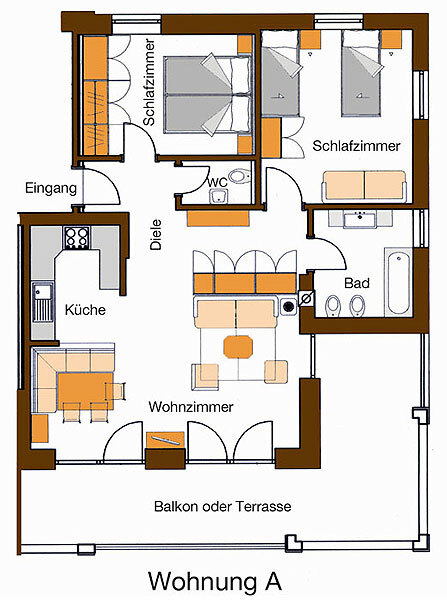 The B Comfort Apartments feature 1 bedroom with 3 beds. 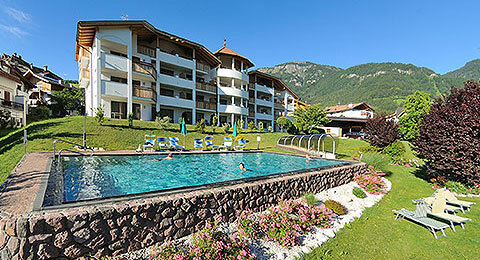 These apartments are ideal for 3-5 persons. 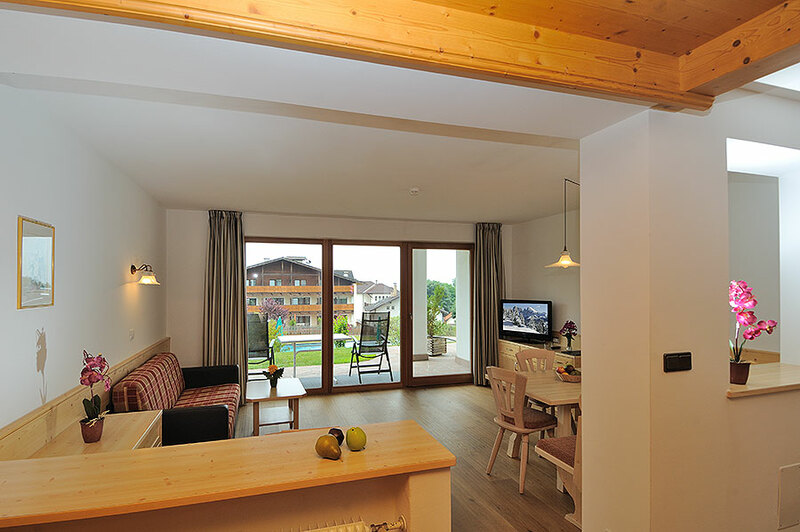 All apartments are south-facing and offer a splendid panoramic view from the spacious balcony or terrace (with table and sun loungers). 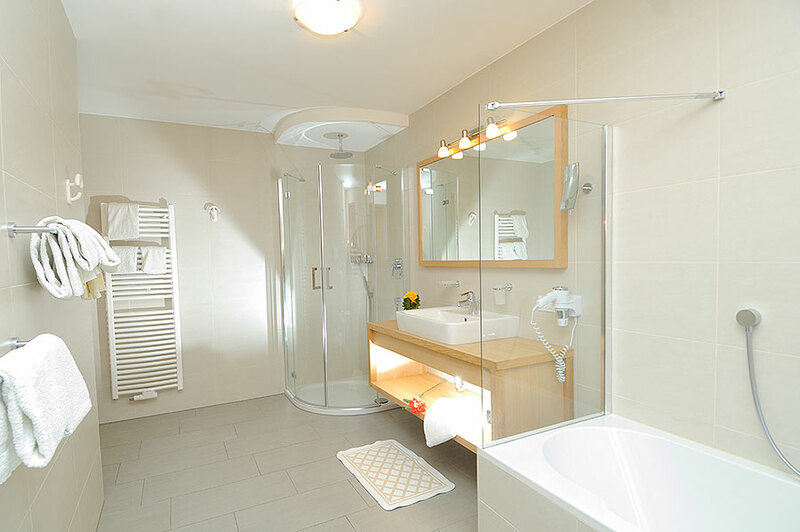 All apartments dispose of a fully equipped bathroom, a fully equipped kitchen, and a living room with double pull-out sofa and seating area. 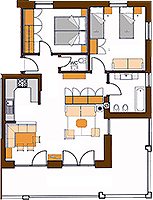 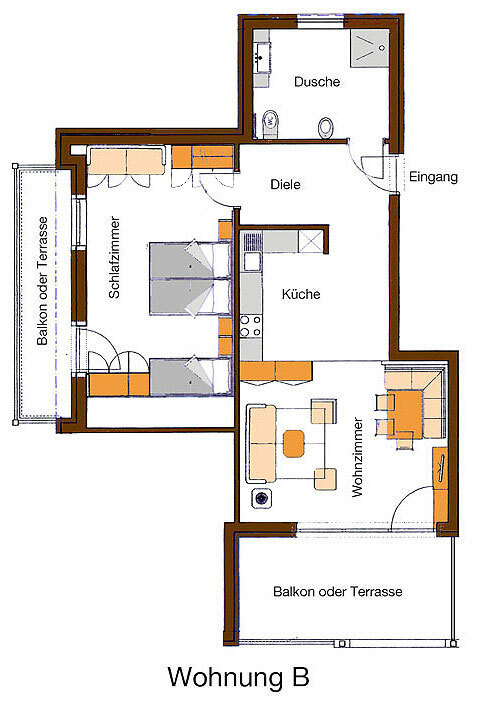 *The apartment layouts serve as a guideline and are not binding. 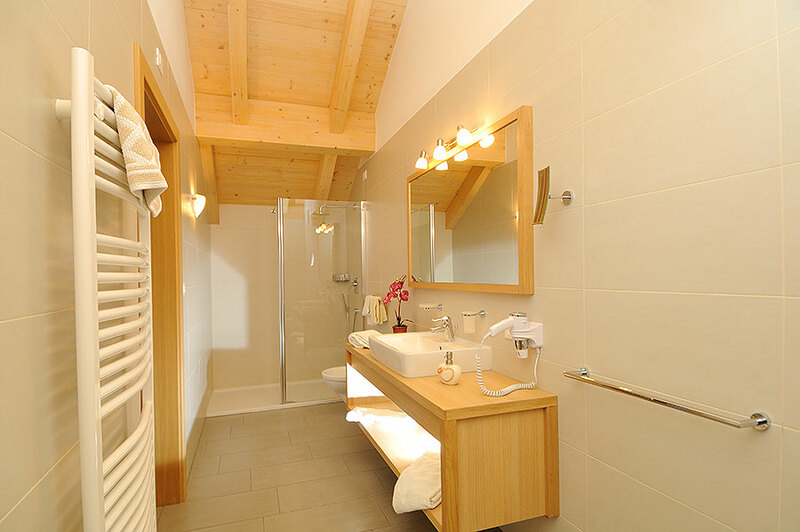 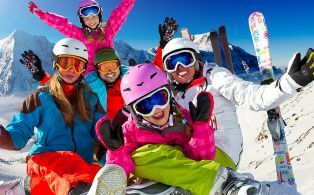 A private car par, washing machine and bicycle and ski storage room, and a heated ski boot room are available for all guests.